ISIS Regains 17th Division Army Base And Electric Station In Northern Raqqah (Map) 4 out of 5 based on 8 ratings. 8 user reviews. ISIS terrorists have regained the 17th Division Army Base and the electric station as well as other points from the US-backed Syrian Democratic Forces (SDF) in northern Raqqah. The Kurds have to fight a real battle, the 17th Division Army base has changed hands twice so far. And I believe they will in recent weeks more..
No just the unprofessional Arab fighters. You act just like the salty player who blames his teammates for his mistakes, SMH. Well the Russians predicted that the Poorly trained,and organized SDF,which is good in operations on open terrain,but in some bigger town they will have big losses..Just like the Iraqis in Mosul.. I believe the hard part is yet to come..Raqqa will not fall without the arrival the Syrian Arab Army,just before new year ..
let’s hope that the SAA reaches the city of Raqqa before it completely falls in the hands of the kurds. Although this is unlikely to happen. By the time SAA reaches Raqqa it will be cut off from Euphrates. There is one damm that is still under the control of ISIS, it is directly connected to the City of Raqqa, so if the good ol tigers somehow accelerate their advance significantly, they might be able to encircle the Kurds in Tabqa, reach the damm, and probably join the battle of Raqqa. And I repeat, this is only possible if the Tigers and their allies accelerate their advance significantly. and it gives them an acceptable reason to exit . Tiger Forces are not going to attack the Kurds , they are going to roll down to Dier Ezzor along the west side of the river . Those SAA who are holding out against ISIS there , need serious back up , now . Raqqa will fall in to hands of Kurds,no way and deirrezor also maybe damascus and latakia.its just starting of SDF. They are throwing the New fresh Arab/FSA recruits into Raqqa therefore limiting YPG losses and keep the Arab component weak. Which will be tosses aside after Raqqa. Kobani, Al Haskah, Tell Abyad, Tal Raf at.Al Qamishly, Tishreen Dam, Manjib, Tabakh city and Dam. The SDF has had an unbroken string of victories against ISIS, FSA and SAA. Futile ISIS counter attacks are nothing new and to be expected. It’s not like they lost Artillery School Hill and broke the siege Aleppo. Not familiar with any SDF – SAA battles in the last couple of years, other than a minor flash when the US special forces arrived a year ago . They seem to have worked together to oust the jihadist Al Qaeda in the west , and ISIS in the east . What are you talking about ? A brief battle in Al Haskah. the Kurd took over 90% of the city, Also Al Qamishly. A battle requires both sides engaging , the Haskah flash , where the Kurds occupied the city on some misunderstanding , was what I referred to , the first 200 US special forces had arrived a week earlier . Haskah is SAA territory , that exists surrounded by the Kurds for three or four years , it is more an example of cooperation rather than aggression . And Al Qamishly what happened , when ? I never did minder stand what that was all about. I all it a battle because the SyAF was involved which makes it more than a skirmish. 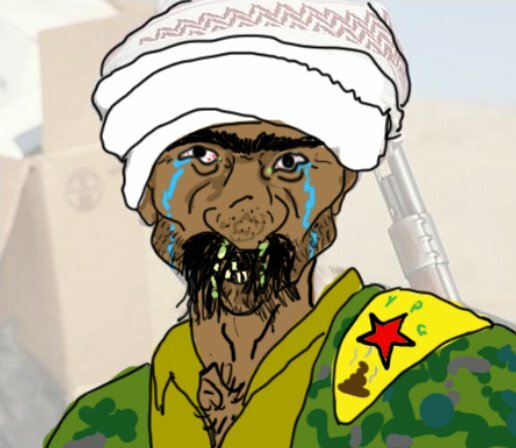 You are nothing without the ILLEGAL Terrorist Yankee shits..They wer4e against you in Kobane..Let the Turks help IS..We were all supporting Kurds Then..Now the Kurds are aligned with the invading Terrorists,and became the Prostitutes of the US Terrorist Imperialism..When they got what they want they will throw you under the bus to the Turks before they Turning their backs on the motherfucking Yankees,and make Alliance with the Russians..
Maybe if you had spent less time gassing womem and children and more time fighting ISIS the US support wouldn’t be nesissary. It sure as sh*t was not the Syrian Air Force that helped save Kobani. When the Turks bombed the YPG in Afrin mere weeks ago did the Syrian Air Force rise up to defend their soil and fellow citizens? But the US sent in front line troops to act as human shields againest their own ally. The US has been with them every step of the way in this holy war against ISIS. Now that they are on the cusp of victory over their soulless enemy you are trying to horn in on their achievement. Just like you did to the Turks at Al Bab. Those valiant defenders need to be relived as quickly as possible. Rawalpindi belongs to the SDF. They have earned that also. LOL zionist proxies (daeshbags) fight against zionist proxies (“SDF”). May them all kill each other before the Syrian army arrives. you will never learn hmm moron turk. ?only turkish state is zionist and now side with asad these terorrist will learn Kurdish Heroes braveness.and what happend you were telling that no war isis already was gone?you liars dont cost anything.yes not easy but will be sure Raqqa is Kurdistan of Rojava.and the terorrist assad will go to hell with terorrist erodgian and isis. I hope ISIS will manage to keep Mosul for as long as they can so that the SAA can liberate as many villages as they can so the can link up to Deir Ezzor. The more dead Kurds the better it is. The Kurdish in Syria never joined the “rebels” against the Syrian government , and are Syrian citizens , give respect . If they decide via an election to create an independent nation , who knows what will happen . Until then they have been a strong ally of the Syrian government against the Wahhabi jihadists , lets hope it stays that way . 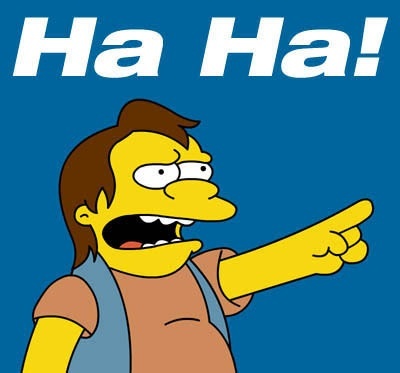 The war might be over in a couple of months , ISIS in the south is almost done , and Al Qaeda in the west just a mop up . Pray for peace , we all deserve it . SDF has taken Kasra Sheikh Jouma village and directly across the river from Raqqa. They only need to advance about an other Km to isolate the city.